Whether you want to move a trailer, caravan or horse float, you’ll find the jockey wheels you need in our online store. Here at My Generator, we are proud to stock jockey wheels from brands like BLA, Camec and Trail-A-Mate. Browse our wide range of sizes and load capacities to suit a variety of caravans, trailers and horse floats. 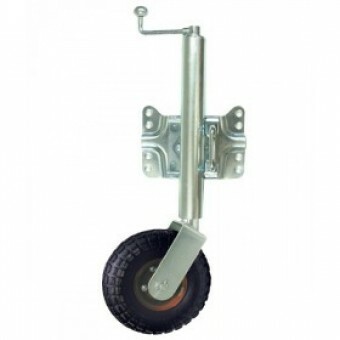 Find jockey wheels that can move trailers up to 4,500kg! You’ll also find lots of extra features, like swing and sway brackets, automatic brakes, dual tyres, and adjustable heights, to meet your unique towing needs. 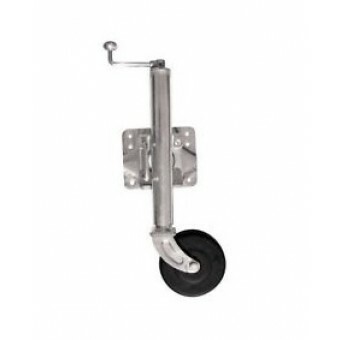 We even stock jockey wheels that quickly and easily convert from to hydraulic jack! Whichever solution you choose, rest assured that our jockey wheels are made from top quality metals and rubbers. They are designed for easy installation, so you can get on the road sooner. With top quality jockey wheels at competitive prices, it’s never been easier to tow your vehicle.